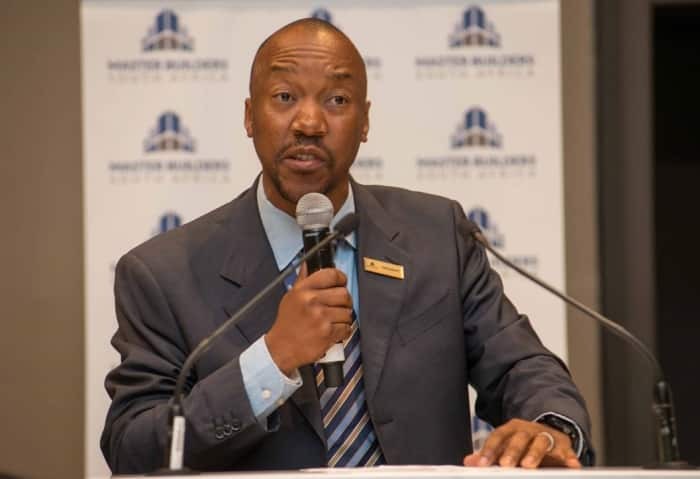 Bonke Simelane, President of Master Builders South Africa. Issues impacting the South African construction industry – and the country as a whole – came under the spotlight at this year’s Master Builders South Africa (MBSA) Congress, held on 11 and 12 September 2017 at the Century City Conference Centre in Cape Town. Under the theme of Building South Africa Together, government representatives, building industry leaders, economists and other relevant stakeholders shared knowledge, information and new ideas during the challenging debates and thought-provoking discussions that characterised the Congress. Delivering the Congress’ Keynote Address, Minister of Economic Development, Ebrahim Patel shared: “A week ago, the economy emerged from the recession, powered mainly by the exceptionally strong performance of the agriculture sector. Nevertheless, there were some dark linings to this silver cloud – two sectors that, in the past eight years had driven economic growth and employment in an otherwise sluggish environment, experienced negative outputs in this past quarter. One of those was the construction industry, a major employer providing work for 1.4 million South Africans and a significant contributor to the country’s GDP.” He listed some of the challenges that the construction industry is facing such as reduced infrastructure spending by a number of state-owned enterprises, collusion, corruption, project delays, cost overruns and a lack of transformation. Patel revealed some of the work that his department was doing to help bolster the sector and, in turn, the economy. This included consulting with National Treasury on the possibility of a multi-year budget system to mirror the build cycle of mega infrastructure projects and provide a level of certainty in the market. He also said that, despite softened spending, government is still outlaying approximately R280 billion per year on infrastructure and that this will be boosted further with the Minister of Finance adding increasing emphasis on infrastructure spend over the next two budgets. In addition, Patel reminded attendees of the opportunities presented for infrastructure development by urbanisation and growth within other parts of the continent. On the topic of Regional Integration for African Cooperation and Development, Thami Ngqungwana, Chief Director of the Economic Infrastructure and Logistics Unit at the Department of Trade and Industry, shared: “In Africa, underdevelopment is attributed directly to the lack of adequate infrastructure. While inadequate infrastructure may be the single biggest threat to Africa’s long-term growth, it also represents significant opportunities for the construction industry which can provide physical infrastructure assets such as ports, railway lines, toll roads, power stations, hospitals and broadband ICT.” In order for South Africa to take advantage of these and other opportunities, he called for large-scale public investment into infrastructure projects, the enhancement of private-sector participation, improvements in local production capacity and greater transformation within the construction industry. 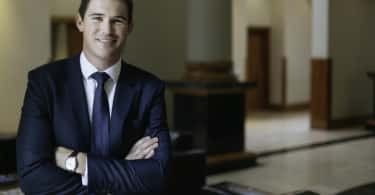 Whilst unpacking South Africa’s Economic Outlook, Craig Lemboe, Senior Economist at the University of Stellenbosch’s Bureau for Economic Research, said that although the economy enjoyed significant growth in the first half of the year, it is unlikely to be sustained as the year progresses. 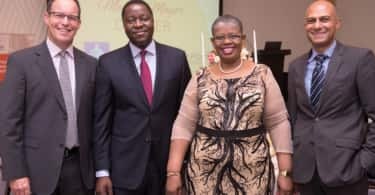 He also noted that the construction sector faced two periods of decline, meaning that it is technically still in a recession and will experience more pain for the remainder of the year. Looking to the future, Lemboe predicts that GDP growth will remain flat, but that more meaningful growth is on the horizon in 2018, if risks are managed appropriately. In her talk on Construction Sector Skills Development Programmes, Velile Ndlovu, CFO at the Construction Education Training Authority, highlighted some of the challenges affecting skills development in the industry. These include the country’s economic recession and/or ‘Junk Status’ leading to retrenchments in the sector, the reduction in public sector spending by up to 30% since 2008, the quality of tertiary education and the absence of technical studies in the schooling system. She also put forward solutions such as the implementation of Work-Integrated Learning programmes for learners seeking exposure to the sector, addressing low levels of education/qualification through Recognition of Prior Learning and industry stakeholders working with lecturers at Technical Vocational Education and Training colleges to improve the relevancy of what the next generation of construction industry members is being taught. The 113th annual MBSA Congress will be taking place next year in Port Elizabeth.